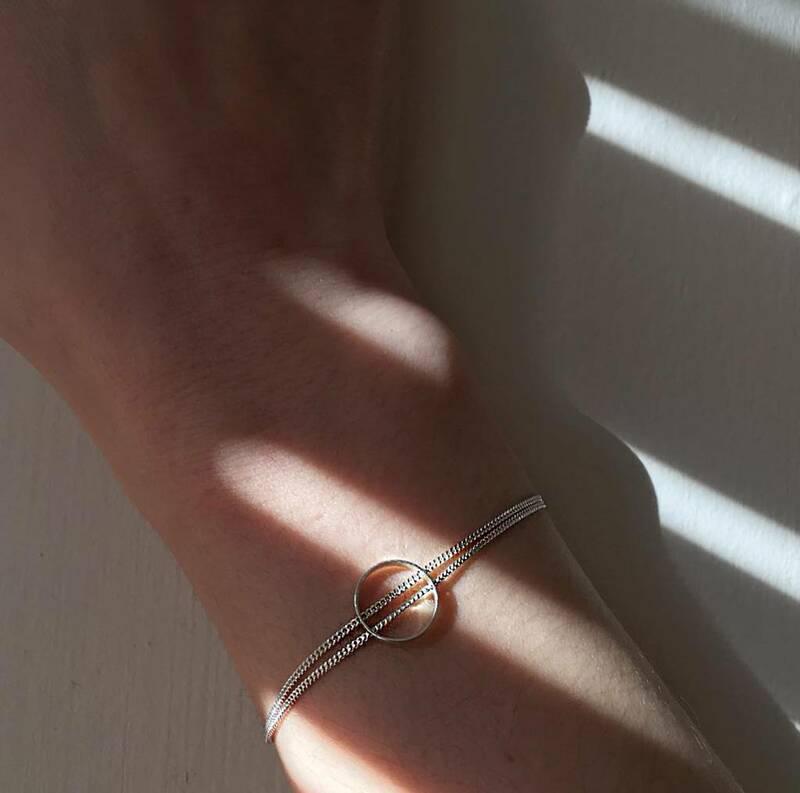 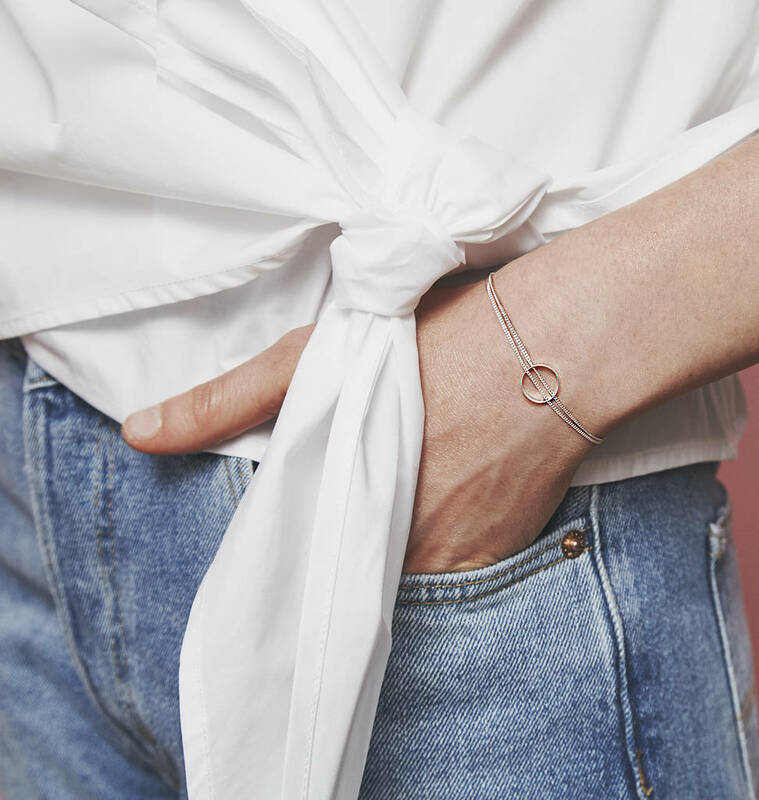 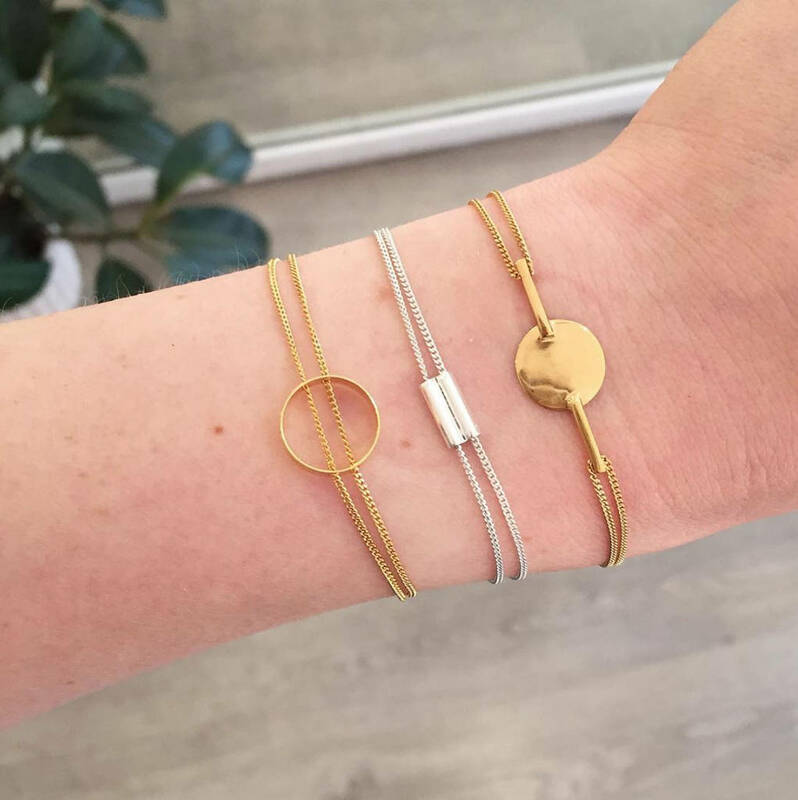 This beautifully simple circular bracelet makes for a refreshing and simple accessory.The classic circle design moves along a double row of fine chain. 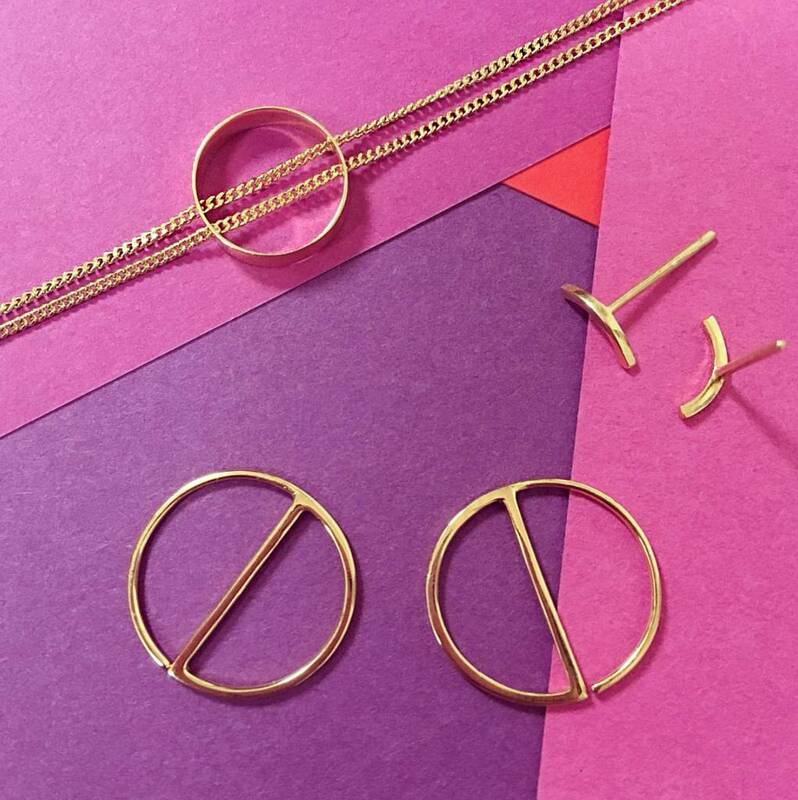 Available in solid 9ct yellow, white and rose gold with in a polished finish. 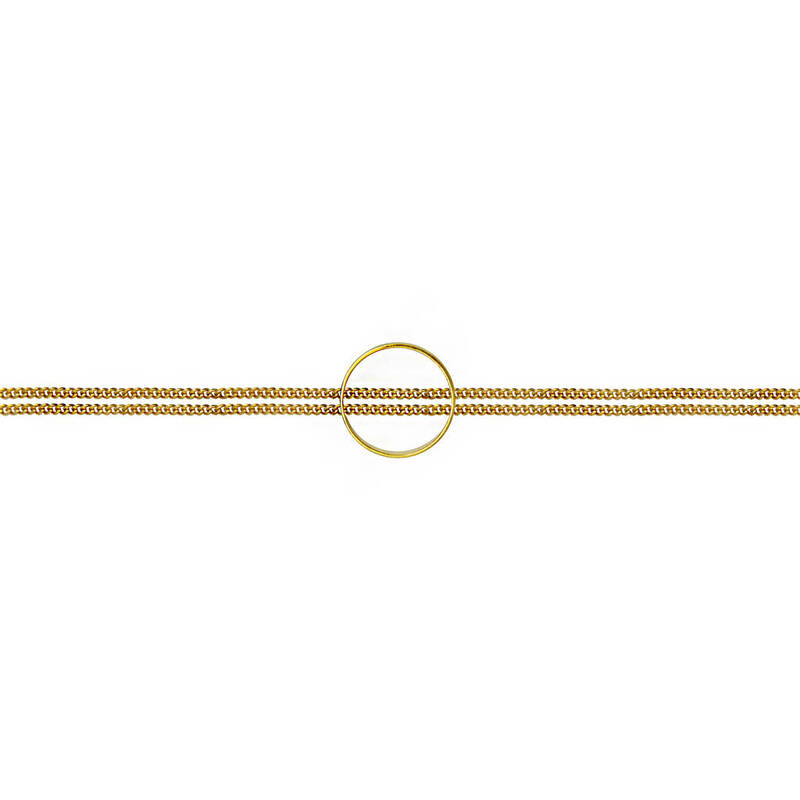 Necklace sits at 15.5cm with a 2.5cm adjustable attachment. 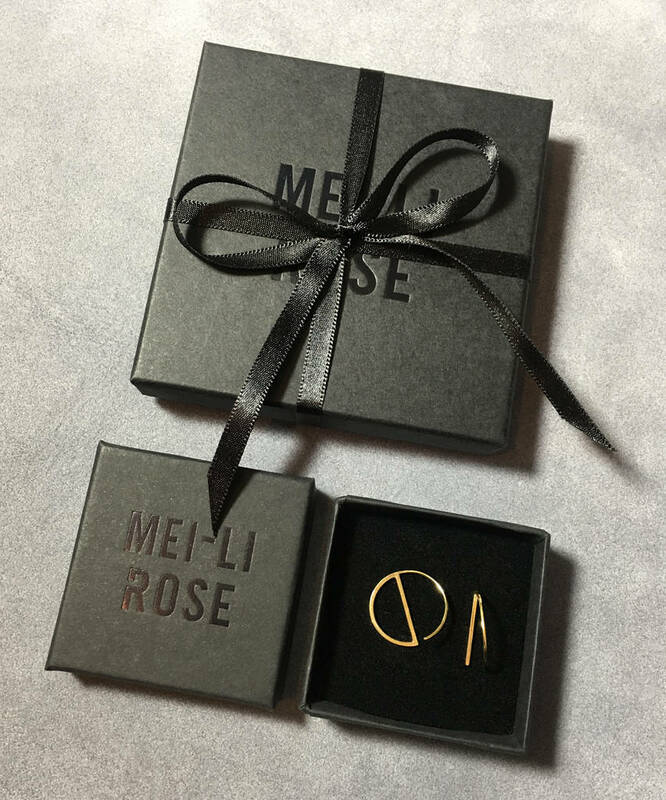 This product is dispatched to you by Mei-Li Rose.